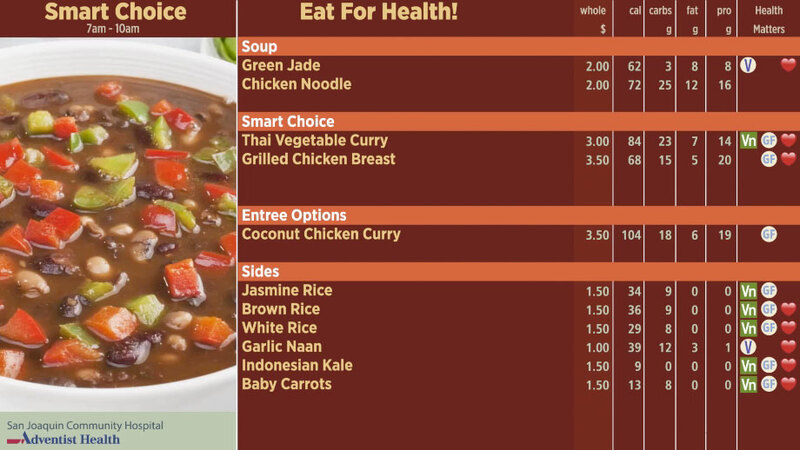 This custom engineered and designed four-screen Food Court system features one Greeter Board and three Menu Boards. 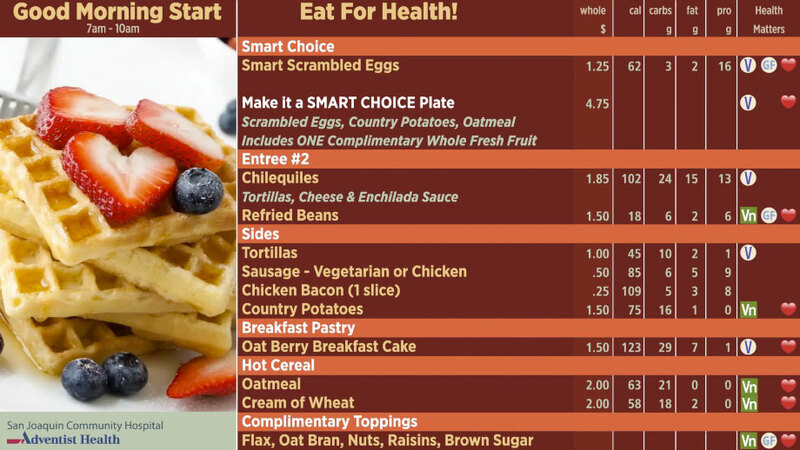 Menus automatically display by meal period (breakfast, lunch, dinner) on 7-day and 21-day menu cycles and include calories, carbohydrates, fat, protein, and Heart Healthy, Gluten-Free, Vegetarian and Vegan nutritional menu labeling icons; prices; and animated food photography. 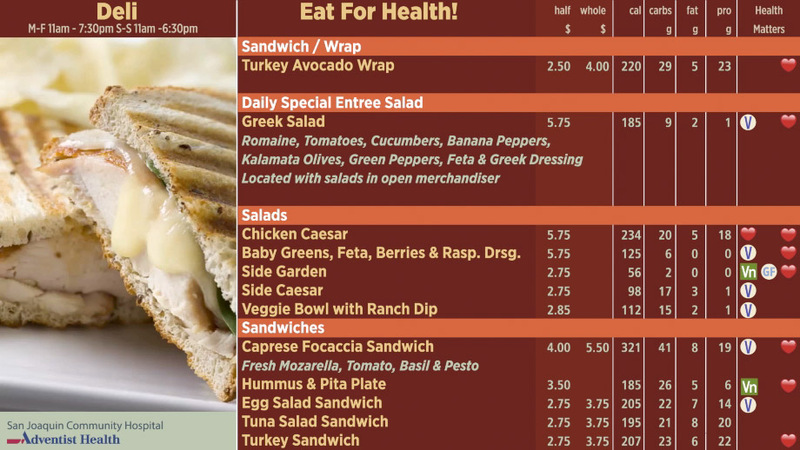 The Greeter Board features the day’s specials at each food station, the Cafe's Hours of Operation, a Slide Show with Captions, a Cross-Promotion for their We Proudly Serve Starbucks Bistro, a Nutritional Tip of the Day, and a Looping Text Block Announcement.